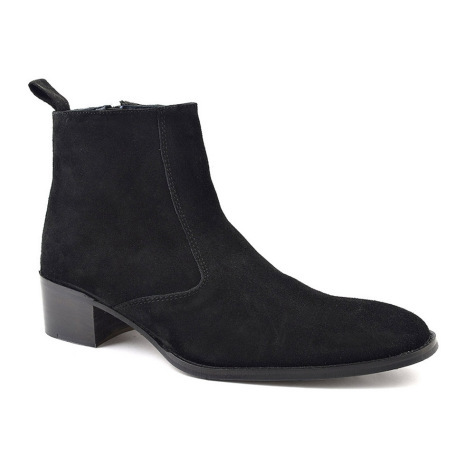 A gorgeous black suede cuban heel beatle boot which has a luxurious decadent feel about it. The heel is 5 cm and the style is simple so it is easy to wear. 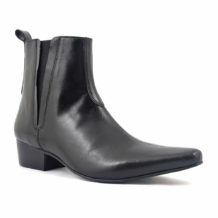 It is a zip-up boot and has a tab at the back of the ankle. A velvety black suede cuban heel boot for men who like to stand out. 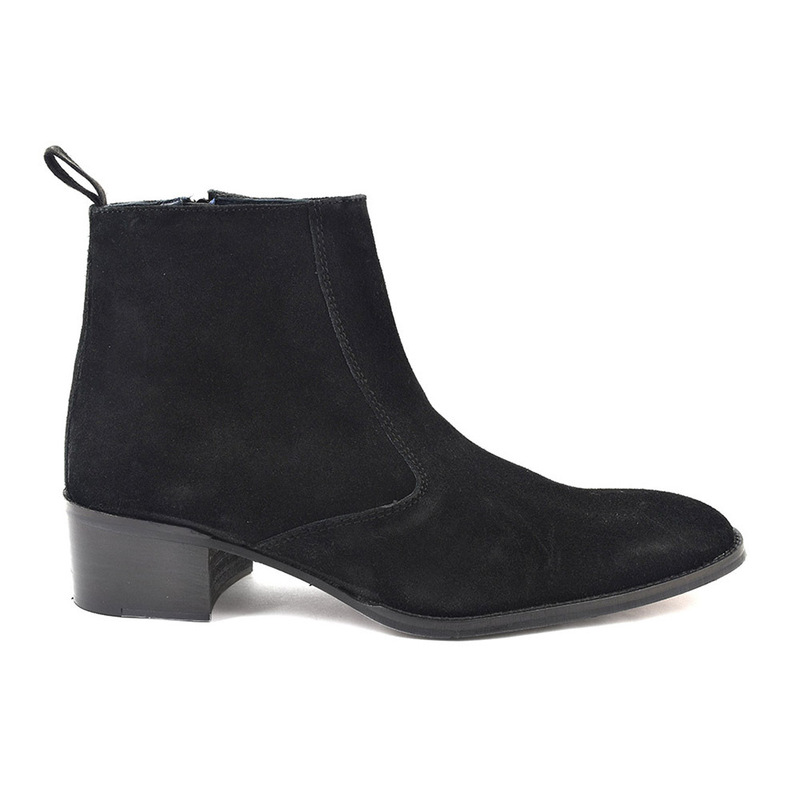 The block heel on this zip-up black boot is a fashionable 5 cm high. Who said it wasn’t masculine to wear heels? Persian fighters in the 9th century wore heels in battle. The fashion for them translated into Europe as there was a love of all things Persian and mens style included a higher heel. France had a penchant for the high heeled shoe and it flourished here for a while in the 1600s. When women began to wear them in a means to equalise with men, men began to wear lower heels. In fact, after this the dress sense of men became a more sober affair and heels did not really see any major resurgence unit the Stones and Beatles began to wear them in the rock and roll era of the sixties. The Fab Four are credited with adding the cuban heel (so called as it was worn in the Flamenco and other Latin dances). 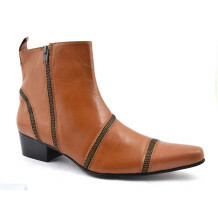 The cowboy boot is the other style where men have tended to wear a heel. However, in this day and age where the means to express yourself is limitless, why not don a pair of decadent black suede cuban heels and throw caution to the wind. 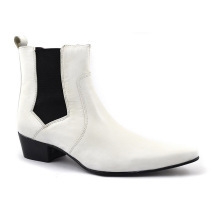 Some legendary people have worn this style of cuban heeled mens boot as mentioned and there are modern day counterparts such as Noel Fielding and many Indie bands like The Horrors and The Kills who between them rock a dapper or a grungey look all their own. Be the first to review “Paul Black Suede Heel Beatle Boot” Click here to cancel reply.